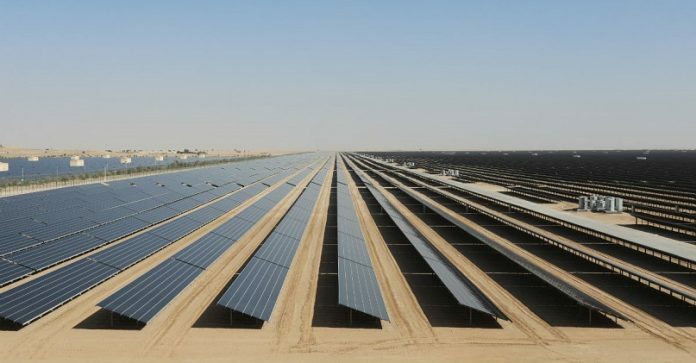 Renewable energy is the most competitive form of power generation in Gulf Cooperation Council (GCC) countries, according to a new report published by the International Renewable Energy Agency (IRENA). Renewable energy is the most competitive form of power generation in Gulf Cooperation Council (GCC) countries, according to a new report published by the International Renewable Energy Agency (IRENA). Abundant resources, together with strong enabling frameworks have led to solar PV prices of below 3 cents per kilowatt hour and dispatchable concentrated solar power (CSP) of 7.3 cents per kilowatt hour, which is less than some utilities in the region pay for natural gas. IRENA’s new ‘Renewable Energy Market Analysis: GCC 2019’ launched during Abu Dhabi Sustainability Week, says achieving stated 2030 targets can bring significant economic benefits to the region including the creation of more than 220,000 new jobs whilst saving over 354 million barrels of oil equivalent (MBOE) in regional power sectors. “The GCC is among the most attractive regions in the world to develop large-scale solar and wind energy projects as a result of resource abundance and a favourable policy environment, a fact that is backed up by record low prices,” said IRENA DirectorGeneral Adnan Z. Amin. “The UAE’s commitment to diversifying the energy mix is central to sustainable development objectives,” said H E Suhail Al Mazrouei, UAE Minister of Energy.